Mobile and social media have redefined how we buy, sell and interact. Brands that can adapt and engage using these communication mediums will have a competitive advantage. On May 19, the Mobile Visionary Roundtable at the Illinois Technology Association (ITA) welcomes guest speaker Webster Lewin presenting, “How to Leverage the Relationship Between Mobile and Social Media to Build Brands.” Mr. Lewin, based in New York City, is the Senior Vice President, Director of Digital Innovation at MS@LGroup North America. Please join us to gain valuable insights, share best practices and network among fellow mobile visionary participants. On May 19, the Mobile Visionary Roundtable at the Illinois Technology Association (ITA) welcomes guest speaker Webster Lewin presenting, “How to Leverage the Relationship Between Mobile and Social Media to Build Brands.” Mr. Lewin, based in New York City, is the Senior Vice President, Director of Digital Innovation at MS&L Group North America. Mobile and social media have redefined how we buy, sell and interact. Brands that can adapt and engage using these communication mediums will have a competitive advantage. Roundtable presenters will address major global factors impacting the mobile industry and highlight success stories. Following the insightful mobile industry presentation, participants will split into themed mobile “20/20” breakout sessions, where they will enjoy networking opportunities and share best practices in mobile marketing, technology and application development. This event takes place in downtown Chicago on Wednesday, May 19, 2010, 8:30am-10:30am. Senior Vice President, Director of Digital Innovation and Strategy MS&L Group North America, New York. As a thought leader with nearly 18 years of experience in the interactive media and digital space, Webster is responsible for spearheading transformational digital thinking and strategy in MS&L’s North American offices. In 2008, Webster was elected to the Mobile Marketing Association (MMA), North America Board of Directors. He also serves as co-chairman of the Education Committee of the MMA, and has been an active member of the MMA Mobile Advertising committee. On February 17, the Mobile Visionary Roundtable at the Illinois Technology Association (ITA) welcomes guest speaker Alex Campbell presenting on Mobile Marketing and a Visionary Look Forward. Following the insightful educational portion of our roundtable, participants will split into themed mobile breakout sessions where they will enjoy networking opportunities and share best practices in mobile marketing, technology and application development. On February 17, the Mobile Visionary Roundtable at the Illinois Technology Association (ITA) welcomes guest speaker Alex Campbell presenting on Mobile Marketing and a Visionary Look Forward. Did you know mobile messaging revenues worldwide are expected to grow to $233 billion in 2014, up from about $150 billion in 2009, according to a new forecast issued by Portio Research? 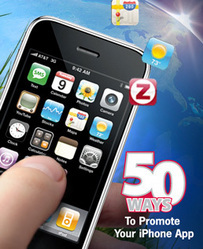 Additionally, according to Gartner, mobile app store revenues will reach $6.2 billion in 2010. Worldwide downloads are expected to surpass 21.6 billion by 2013. Register in advance. Informal networking begins when doors open at 8:00am. Known throughout the industry for his candor regarding the state of mobile technology, Alex is a sought after speaker within the technology and financing circuits. He has won a number of awards throughout his career including Red Herring’s Top 25 Tech Rebels and Crain’s Business Chicago Top 40 Professionals under 40. Following the insightful educational portion of our roundtable, participants will split into themed mobile breakout sessions where they will enjoy networking opportunities and share best practices in mobile marketing, technology and application development. This event takes place in downtown Chicago on Wednesday, February 17, 2010, 8:30am-11:00am. Alex has dedicated the past decade to pioneering the mobile marketing discipline and educating clients on its value as a viable marketing solution. A leader and visionary, his expertise has led to Vibes’ double digit growth, every year since 2004.